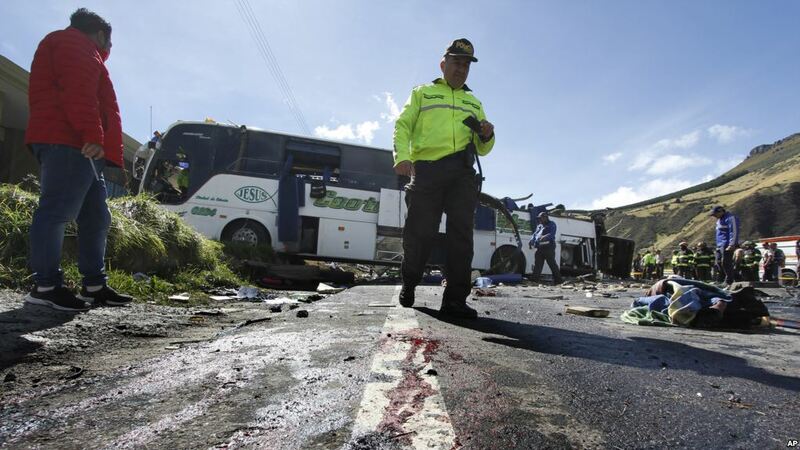 A police officer walks past a Colombian-registered bus that while traveling to Quito crashed in Pifo, Ecuador, Aug. 14, 2018. A bus carrying travellers from Colombia and Venezuela crashed in Ecuador early Tuesday, killing 24 people and injuring 18 others, officials said. The dead included an unspecified number of Venezuelans and Colombians, whose embassies were notified of the accident outside Quito, they said, reports VOA.